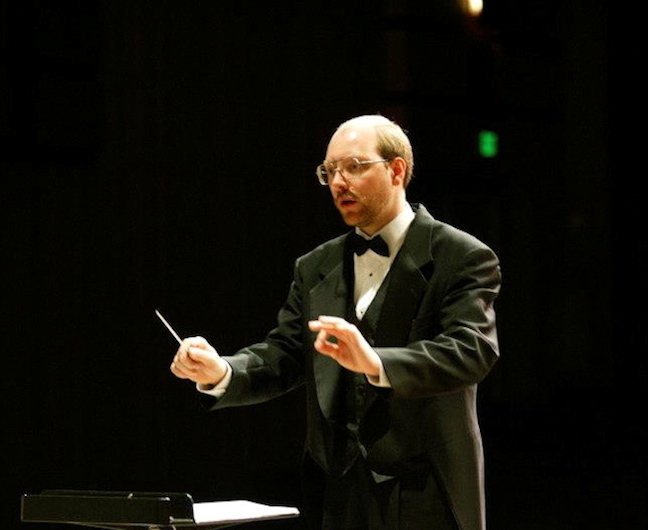 “For our winter concert, we are excited to welcome trumpeter Jessica Jensen back to the stage on this Wednesday night, Feb. 27, at 7:30 p.m. to perform the Concerto for Trumpet and Orchestra by Aleksandra Pakhmutova with the musicians of the Middleton Community Orchestra led by conductor Steve Kurr (below). 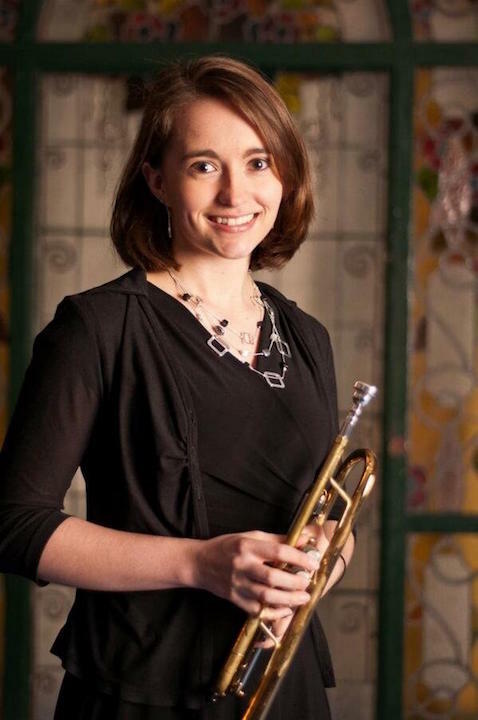 “I am beyond thrilled to be playing Aleksandra Pakhmutova’s Trumpet Concerto with the Middleton Community Orchestra,” says Jensen (below). 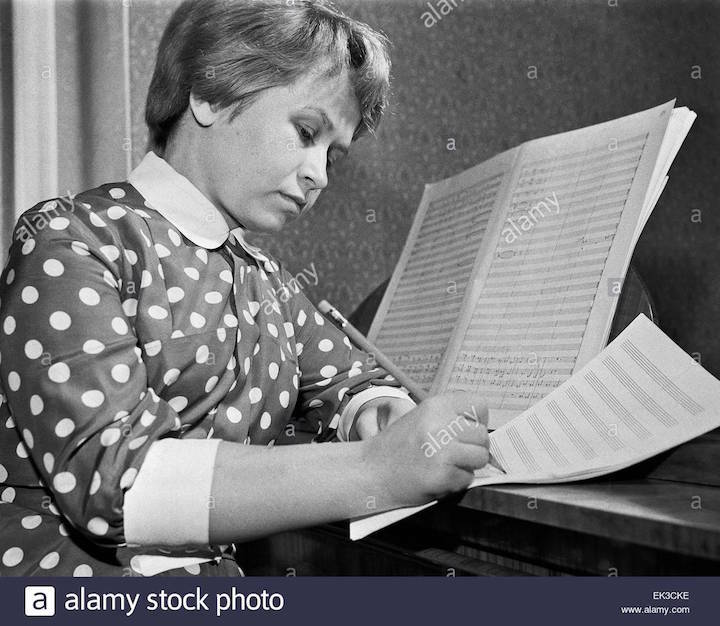 “After completing her concerto in 1955, Pakhmutova (below) — who is still actively composing and performing today at the age of 89 — cultivated a legendary career as one of Russia’s top film and popular music composers. 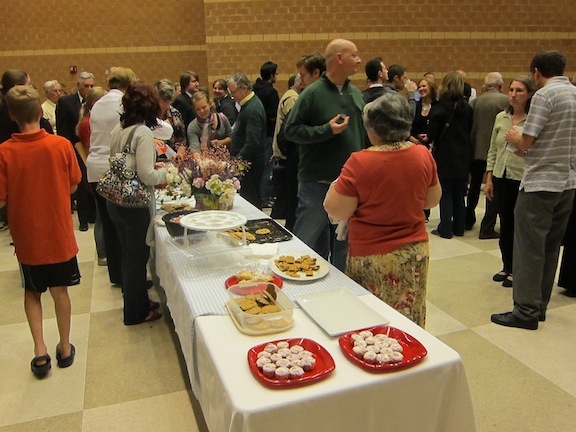 The concert is at the Middleton Performing Arts Center, which is attached to Middleton High School at 2100 Bristol Street. General admission is $15. All students are admitted free of charge. Tickets are available at the door and at Willy St. Coop West. The box office opens at 6:30 p.m. and the concert hall doors open at 7 p.m.
A meet-and-greet reception (below) follows the concert. Although he has heard the jazz suites by Dmitri Shostakovich many times, The Ear was surprised to learn how many modern Russian composers fell under the spell of American jazz. Cultural difference combined with cultural exchanges might be one explanation. 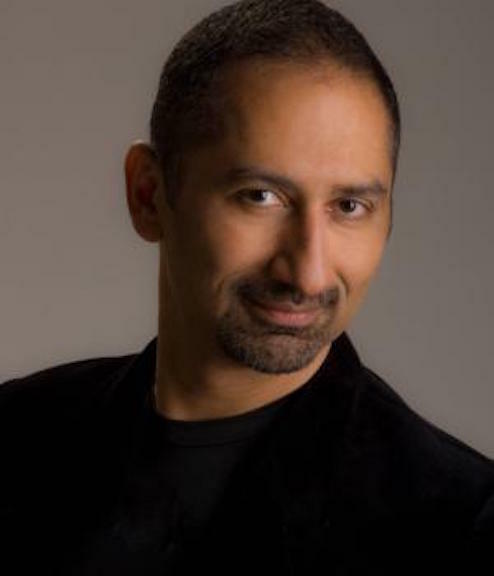 But he also wonders if perhaps living in a state of psychological and emotional distress and danger – the Stalinist Terror facing composers in the Soviet Union and the Jim Crow racism facing African-American jazz artists in the United States – created a certain affinity between such apparently different musical traditions. 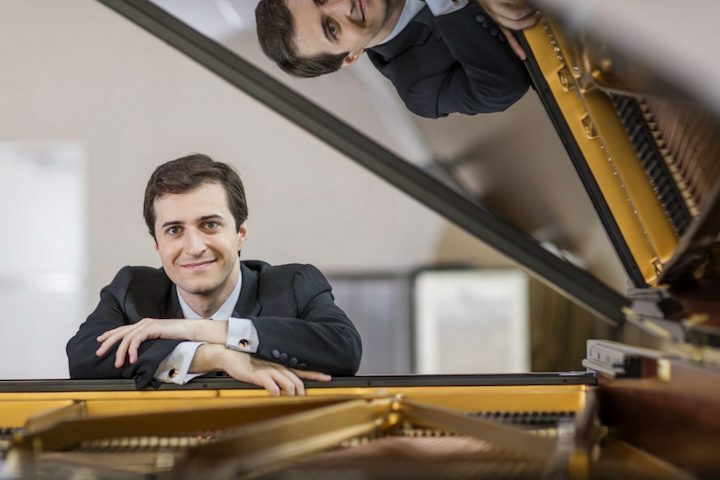 One thing is certain: the program that Ilya Yakushev (below), who was born and trained in Russia and now teaches at the Mannes College of Music in New York City – promises to be one of the most interesting programs of this season. 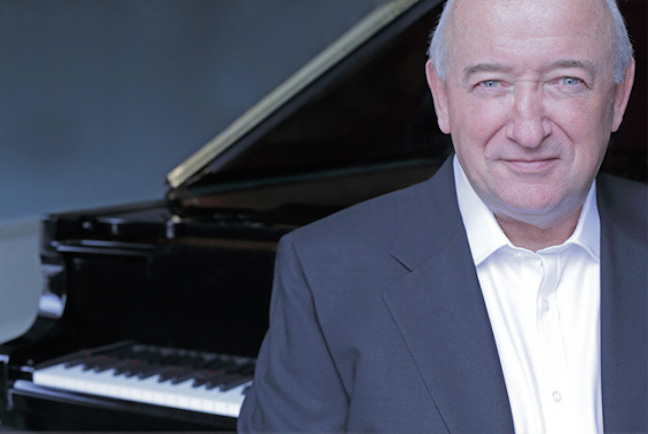 During his return to Madison, the Russian virtuoso pianist – who has his own interest in jazz and played a solo version of George Gershwin’s “Rhapsody in Blue” when last here — will perform two programs at venues where he has proven to be a sensational audience favorite. 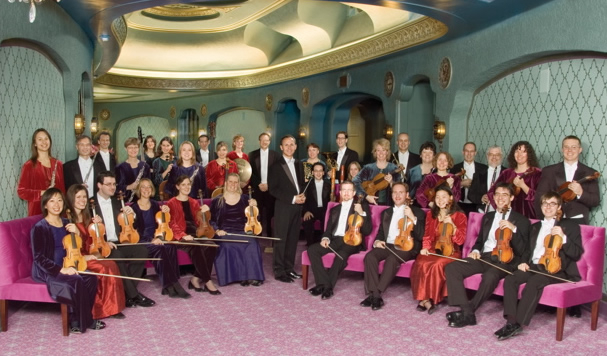 This Friday night, Feb. 22, at 7:30 p.m. in the Capitol Theater of the Overture Center, Yakushev will once again team up with the Wisconsin Chamber Orchestra (below) and its music director and conductor Andrew Sewell, to perform two rarely heard Russian works that demonstrate the influence of American jazz. Those two Russian works are “Ten Bagatelles for Piano Orchestra” by Alexander Tcherepnin (below top) and the “Jazz Suite for Piano and Small Orchestra by Alexander Tsfasman (below bottom). 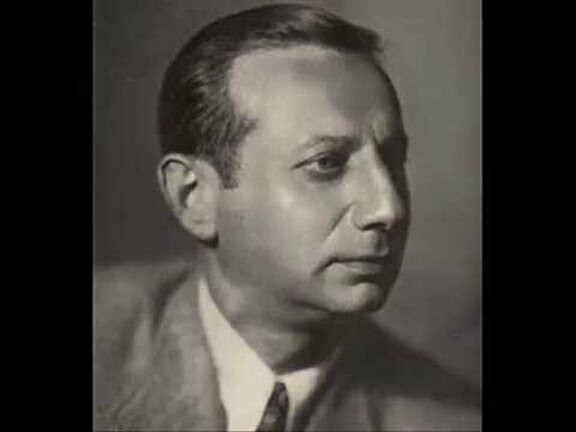 You can hear the Lyrical Waltz from Tsfasman’s Suite in the YouTube video at the bottom. Then the concert concludes with one of the most iconic and well-known pieces of all classical music: the Symphony No. 40 in G minor, K. 550, by Wolfgang Amadeus Mozart. 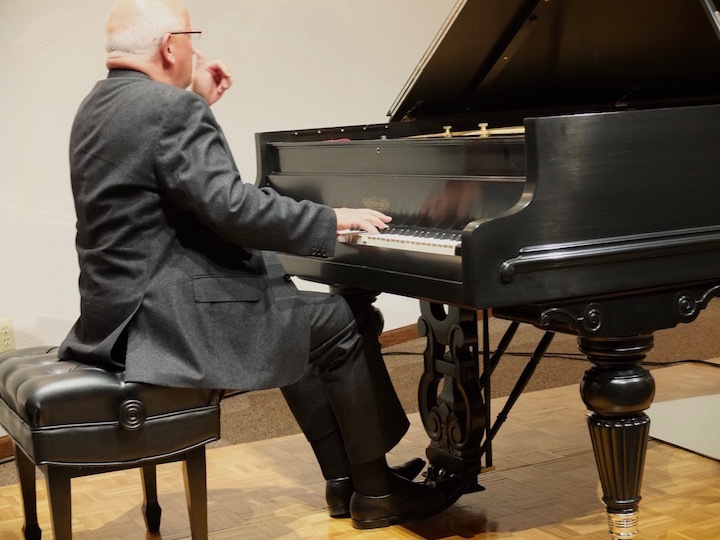 Then on this Saturday, Feb. 23, at 7:30 p.m. at Farley’s House of Pianos, 6522 Seybold Road, on Madison’s far west side near West Towne Mall, Yakushev will perform a program of impressive tried-and-true classics as part of the Salon Piano Series. Tickets are $45 in advance (students $10) or $50 at the door. Service fees may apply. Tickets can also be purchased at Farley’s House of Pianos. Call (608) 271-2626. 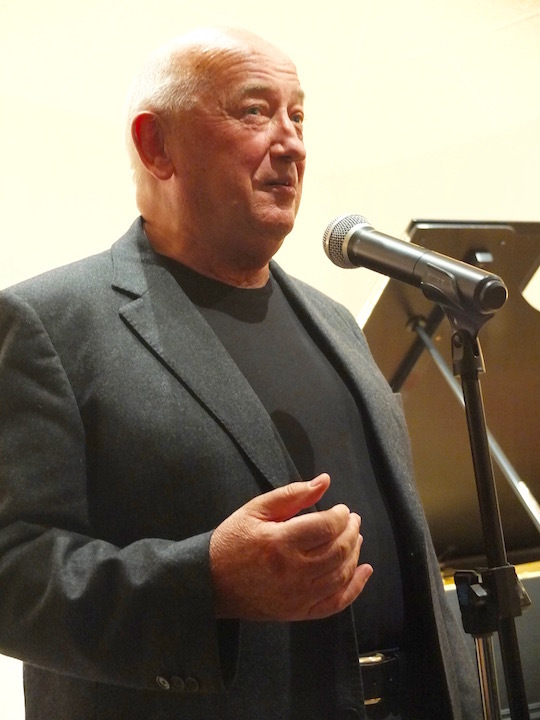 In addition, on Saturday at 4 p.m., Yakushev will teach a FREE and PUBLIC master class at Farley’s House of Pianos, where he will instruct local students. Sonata No. 1 in F Minor, Op. 2, No. 1, First Movement by Beethoven; performed by Kevin Zhang who studies with Kangwoo Jin. Six Variations on “Nel cor piu non mi sento” (In My Heart I No Longer Feel) by Beethoven, performed by Daniel Lee who studies with Irmgard Bittar. Etude in G-Flat Major (“Black Key”) Op. 10, No. 5,by Frederic Chopin; performed by Alysa Zhou, who studies with Denise Taylor. Master classes for the 2018-19 season are supported by the law firm of Boardman & Clark LLP. 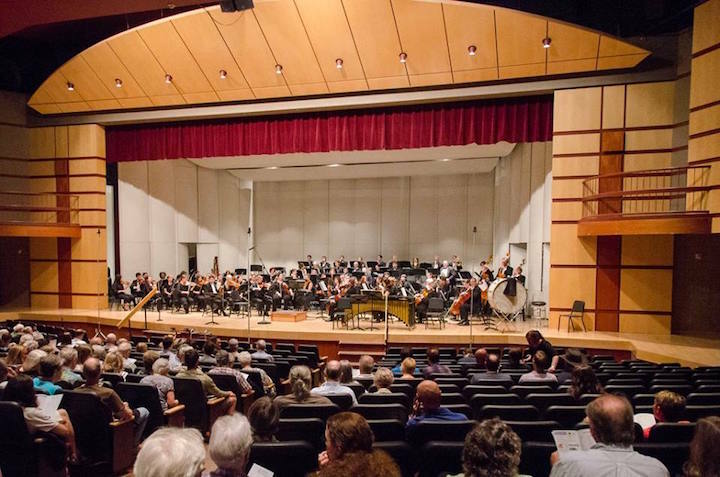 The concert is supported in part by a grant from the Wisconsin Arts Board with funds from the State of Wisconsin and the National Endowment for the Arts. 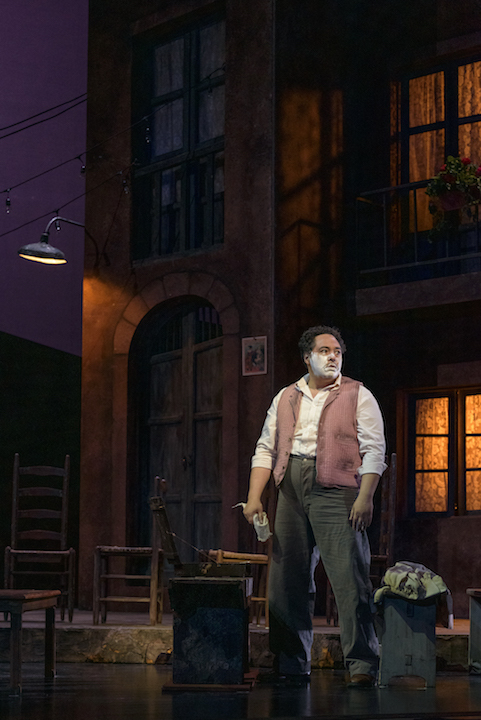 I attended performances of Pietro Mascagni’s “Cavalleria Rusticana” and Ruggero Leoncavallo’s “Pagliacci” presented by the Madison Opera at Overture Hall last Sunday afternoon. Each of the operas is an hour and a quarter long. 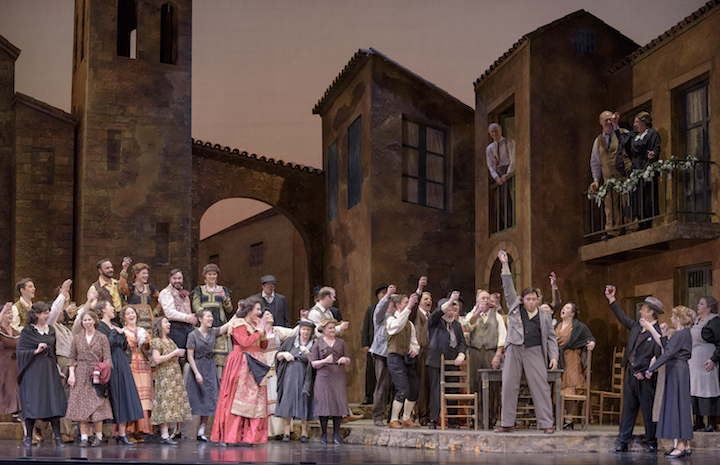 At least for “Cavalleria” (below), the time flew by while I was captivated by the good singing, excellent playing and charming staging. 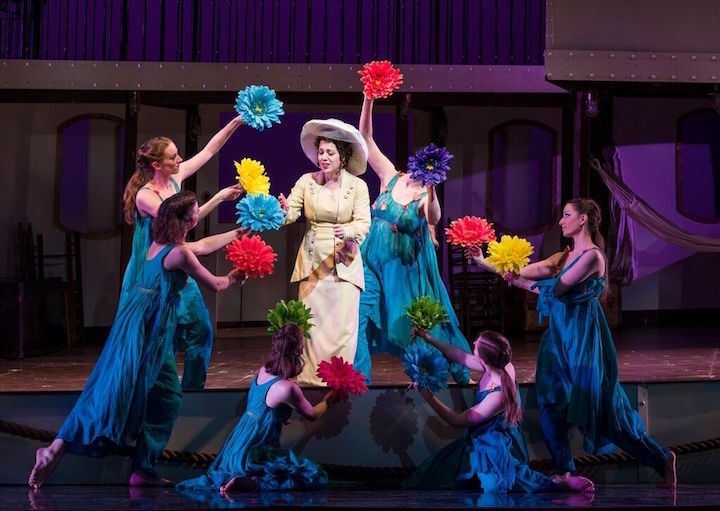 The opera is tightly constructed and the production flowed effortlessly to its dramatic conclusion. 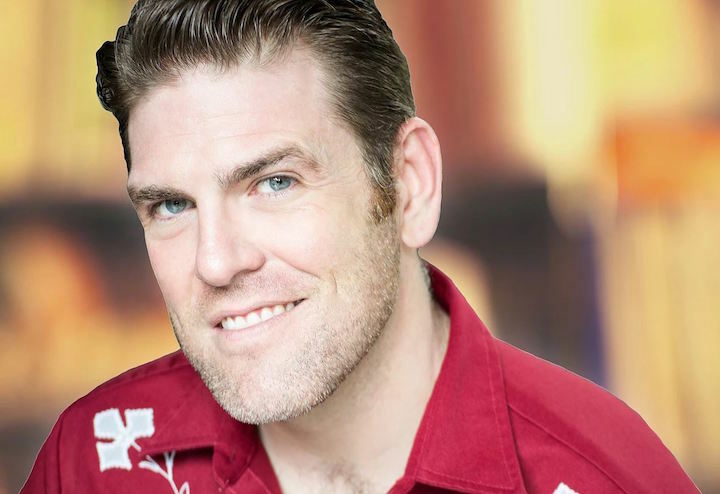 The feckless mama’s boy Turridu was ably portrayed by tenor Scott Piper (below top) who sang beautifully throughout. 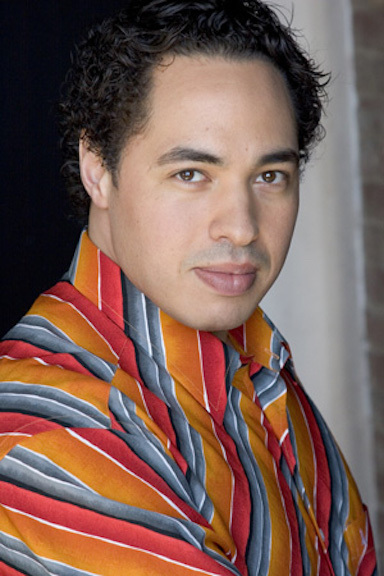 His nemesis, Alfio, was sung by baritone Michael Mayes (below bottom). Mayes has an excellent voice and terrific musicianship, but he tended to overact. 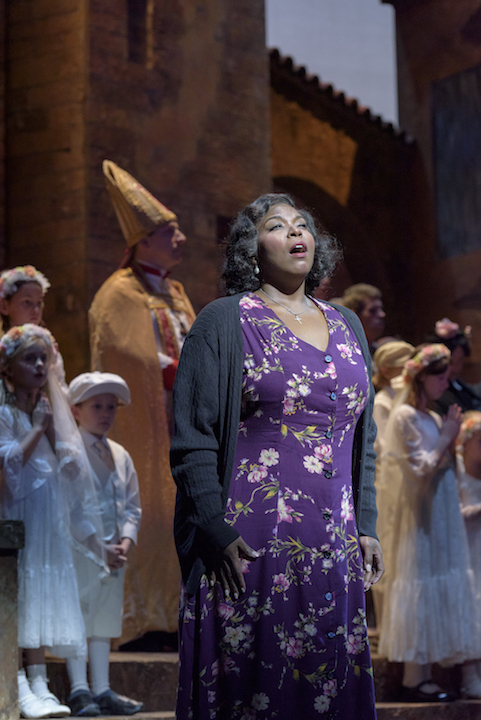 The star of the show was soprano Michelle Johnson (below) as Santuzza. 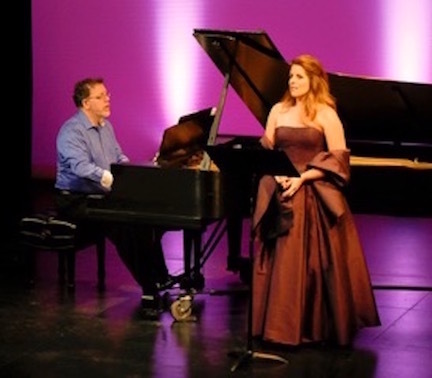 Her big aria “Voi lo sapete” and her duets with Piper were rapturously dramatic. Her supple and nuanced performance had me uncharacteristically leaping to my feet and shouting “Brava!” as she took her curtain call. Hers is a voice I hope to hear again soon. 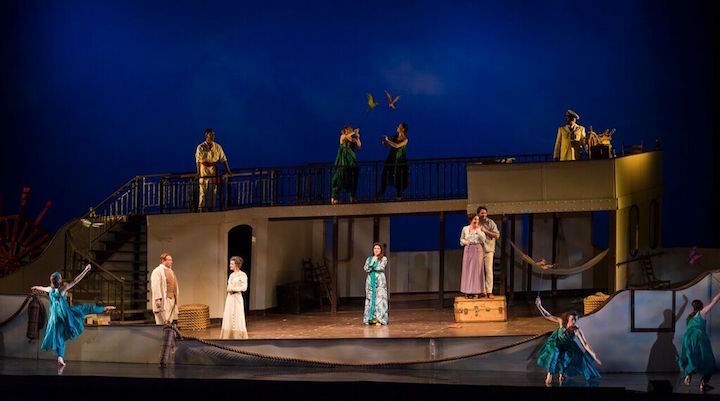 The set and costumes, the bravura singing by the chorus, and the lighting were all above expectations. It was a completely satisfying experience. 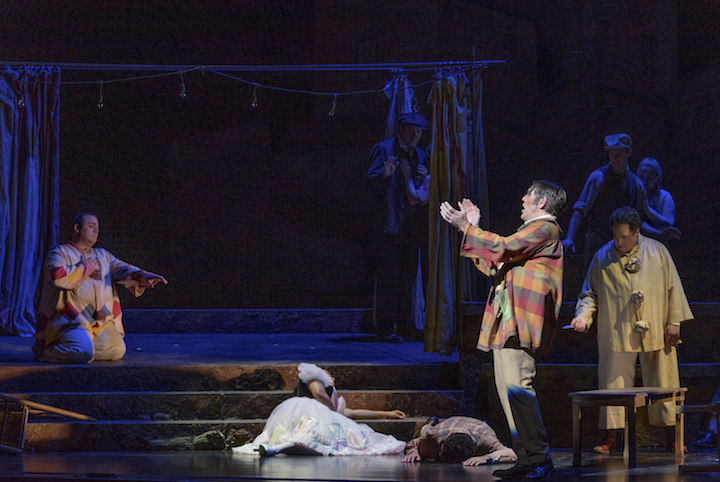 “Pagliacci” is a more troublesome work for me. It has moments of lyrical genius but also what to me seems like filler – the chorus going on too long about getting to vespers, for example. 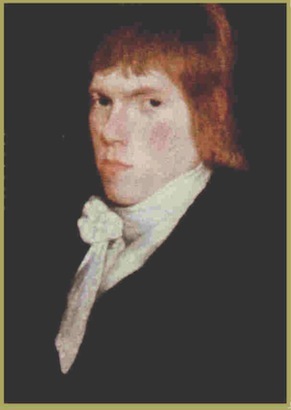 Mayes (below) portrayed the villainous Tonio in this opera. Although his prologue was beautifully sung, his creepy overacting was a bit too much. For example, when Nedda spat at him in contempt, he wiped the spittle from his face and then licked his hand. His final utterance “La commedia e finita” was overly dramatic and lacking irony. Piper sang the clown Canio (below), and by the time he got to the showpiece aria “Vesti la giubba” I was nervous that he would not be able to hit all the high notes. He did hit the notes, but it will take a couple more years for this role to fit his voice comfortably. Nedda was portrayed by sensational Talise Trevigne (below bottom). Her big aria “Stridono lassù” was sung beautifully, and the orchestra shimmered in its accompaniment. 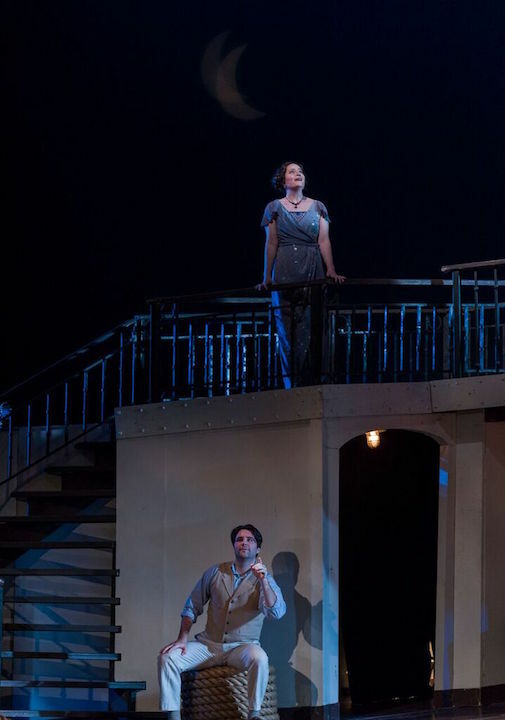 Her duet with her lover Silvio, ably sung by baritone Benjamin Taylor (below top), was another highlight of the production. Once again, the orchestral interlude was beautifully played. 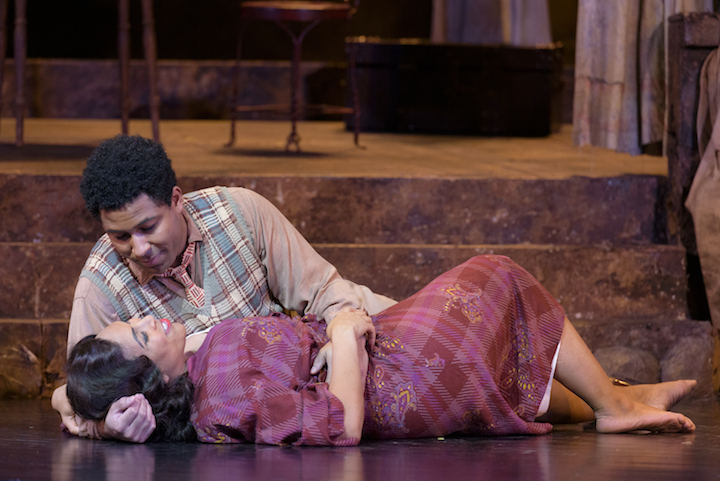 I look forward to the next production: Stephen Sondheim’s “A Little Night Music” on Feb. 8 and 10. 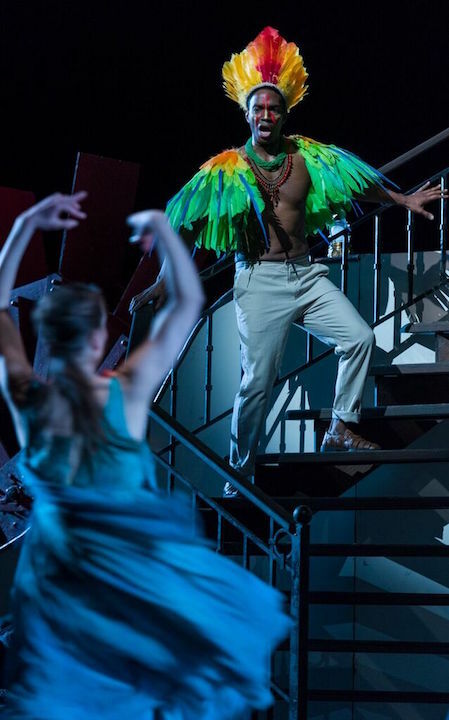 I saw it recently at Des Moines Metropolitan Opera, so I am interested to see how it will compare. 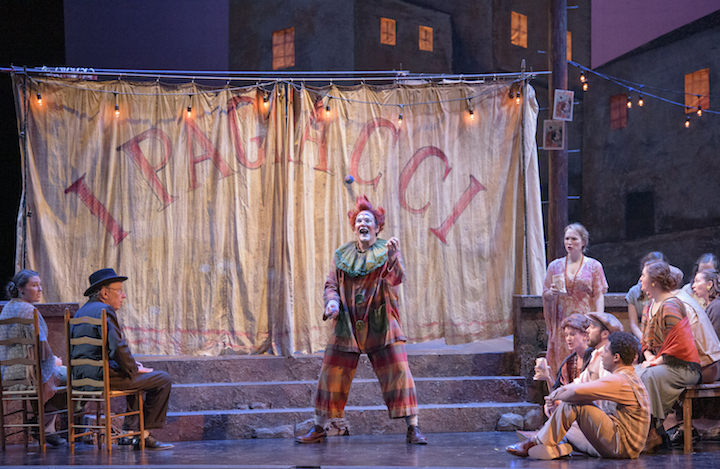 When all is said and done, I enjoyed “Pagliacci” but feel it is inferior to “Cavalleria.” Although both operas are frequently performed together, I have attended other pairings for “Cavalleria” including one with Puccini’s comic short opera “Gianni Schicchi.” That combination worked well. I wonder: Do readers have other suggestions for pairings? 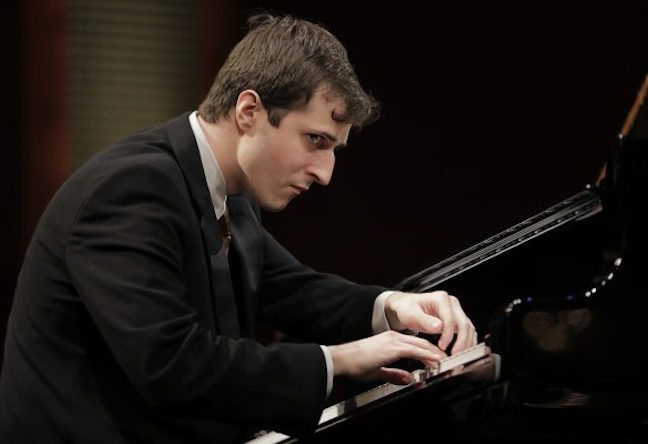 A 25-year-old Minneapolis native, pianist Kenneth Broberg (below in a photo by Jeremy Enlow for The Cliburn) won the silver medal at the 2017 Van Cliburn International Piano Competition. His 2017-2018 debut season as a Cliburn medalist included recital engagements in cities across the United States and Europe. His debut solo album was released by Decca Gold in August 2017. 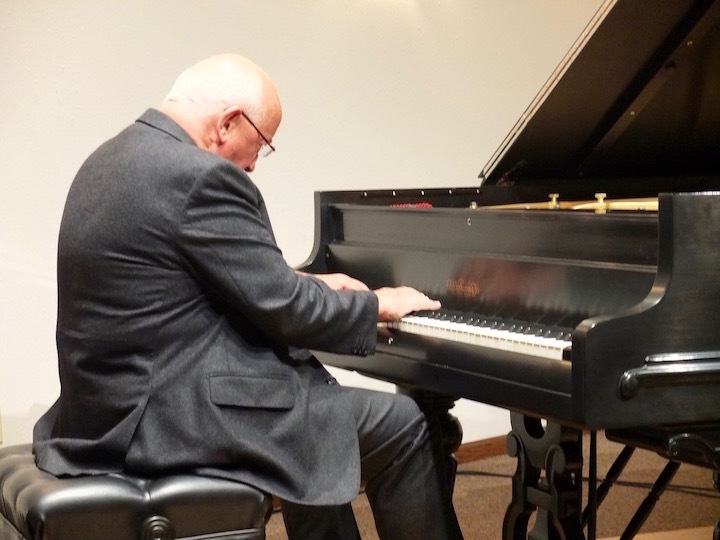 This weekend, Broberg — whose playing The Ear finds impressively beautiful — makes his Madison debut at Farley’s House of Pianos, 6522 Seybold Road, on the far west side near West Towne Mall, as part of the Salon Piano Series. 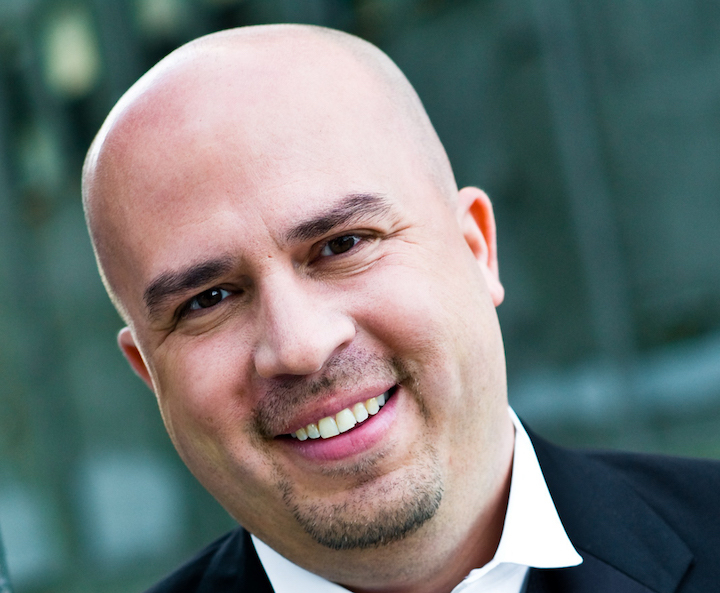 Broberg will be featured in a master class with local young pianists and a solo recital. You can also hear Broberg play a lyrical and well-known Impromptu by Franz Schubert in the YouTube video at the bottom. He also has many other performances on YouTube, including some from the Cliburn competition. 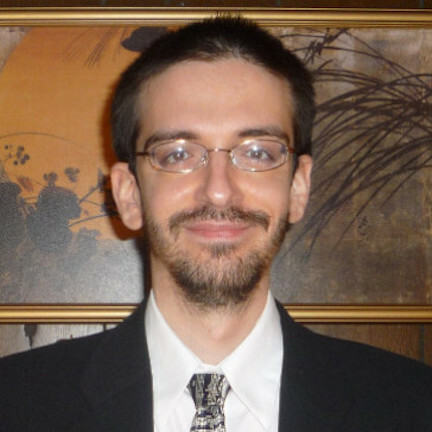 Broberg will give a master class with local piano students THIS EVENING from 5 to 6:30 p.m. at Farley’s House of Pianos. The master class is FREE and OPEN TO THE PUBLIC. Children must be age 6 and over to attend. 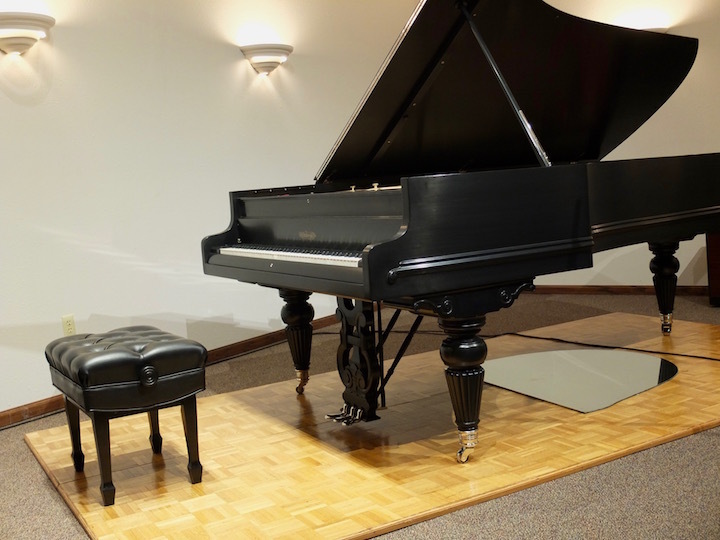 On Sunday afternoon, Nov. 4, at 4 p.m. Broberg will perform a solo recital at Farley’s House of Pianos in the main showroom. The program includes: Prelude, Fugue and Variation, Op. 18, by Cesar Franck and Harold Bauer; Sonata in E minor “Night Wind,” Op. 25, No. 2, by Nikolai Medtner; Toccata on “L’Homme armé” by Marc-André Hamelin; “Children’s Corner” Suite by Claude Debussy (movements are “Doctor Gradus ad Parnassum; Jimbo’s Lullaby; Serenade for the Doll; The Snow Is Dancing; The Little Shepherd; and Golliwog’s Cakewalk); and Three Preludes by George Gershwin. 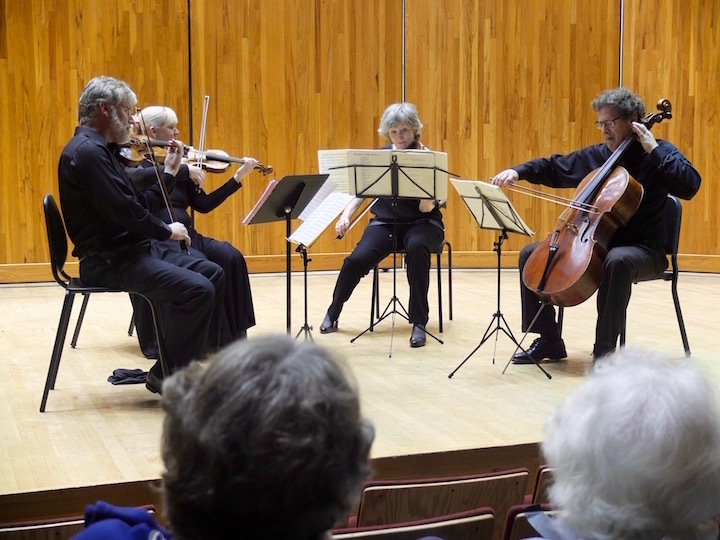 On Friday night in Mills Hall, in an all-masterpiece program that featured Classical, Romantic and Modernist works, the University of Wisconsin-Madison’s Pro Arte Quartet (below, in a photo by Rick Langer) opened its new season . And it did so in top form. 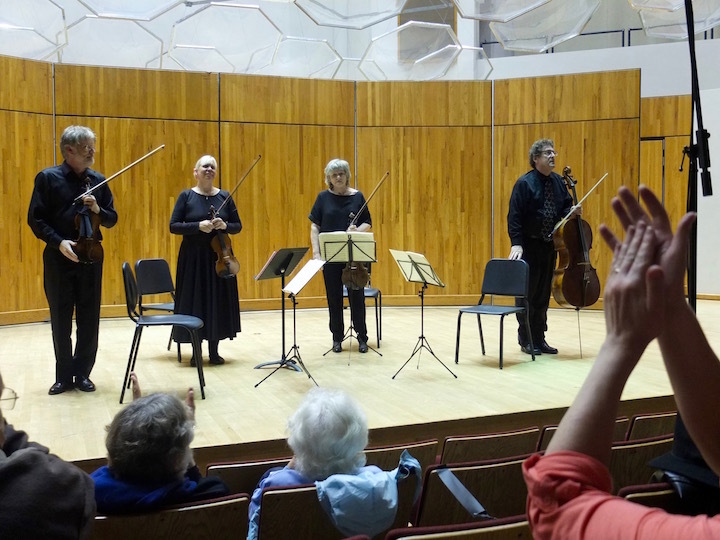 The Ear came away with one thought: You just can’t find better chamber music in Madison — and it’s free! In the “Sunrise” Quartet in B-flat Major, Op. 76, No. 4, by Franz Joseph Haydn, the Pro Arte exhibited the ideal Classical style with its balance, voicing and clarity. 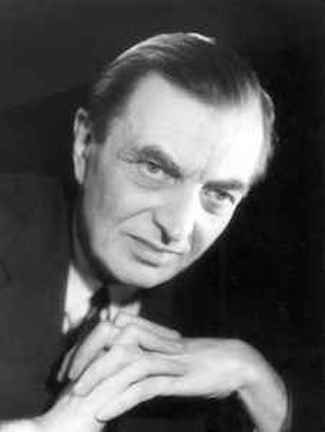 The interpretation offered more proof that when the work is consonant, you play for the dissonance; and when the work is dissonant, you play for the consonance. In the short, non-stop Quartet No. 7 in F-sharp minor, Op. 108, by Dmitri Shostakovich, The Ear was impressed by how the Pro Arte teased out the remnants of late Russian Romanticism that creep into the mostly modernist works of Shostakovich and Prokofiev. Also remarkable was how the Pro Arte highlighted the structure and counterpoint that Shostakovich, a devotee of Bach, brought to his modernism. This seemed a softer and more lyrical Shostakovich, less strident or percussive, than you often hear. And the approach worked beautifully to engage the listener. And then came the grand finale done grandly: the late Beethoven Quartet No. 15 in A minor, Op. 132. The quartet unraveled the often perplexing and thick texture; the epic length; and the forward-looking compositional methods. 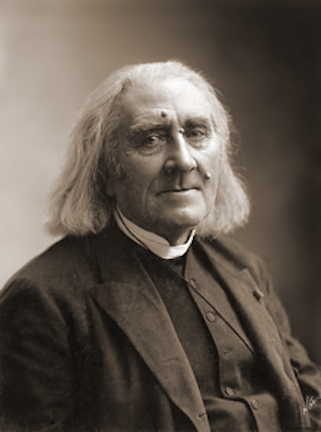 The Pro Arte used a low-key and restrained approach that only highlighted the heart-rending lyricism of the “Heiliger Dangesang,” or Sacred Hymn of Thanksgiving, that the aging Beethoven composed when he had recovered from what he thought might be a fatal illness. How fitting! The perfectly planned program started with one dawn by the teacher and ended with another dawn by the student. 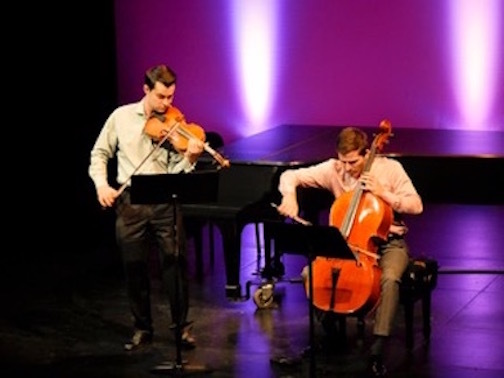 Madison keeps getting more new chamber music groups, all very accomplished and all very good. But the Pro Arte Quartet — now in its 106th season of existence and its 78th season in residence at the UW-Madison — is still tops. As one fan said in near disbelief, “That concert was out of this world.” He wasn’t alone as the performance drew a prolonged standing ovation and loud bravos from the two-thirds house. 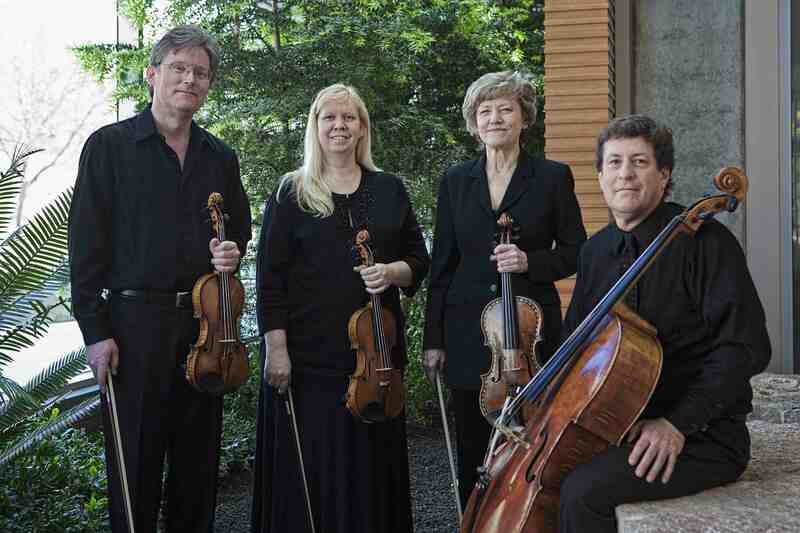 When it comes to chamber music, you just can’t do better than the Pro Arte Quartet. It’s that simple. 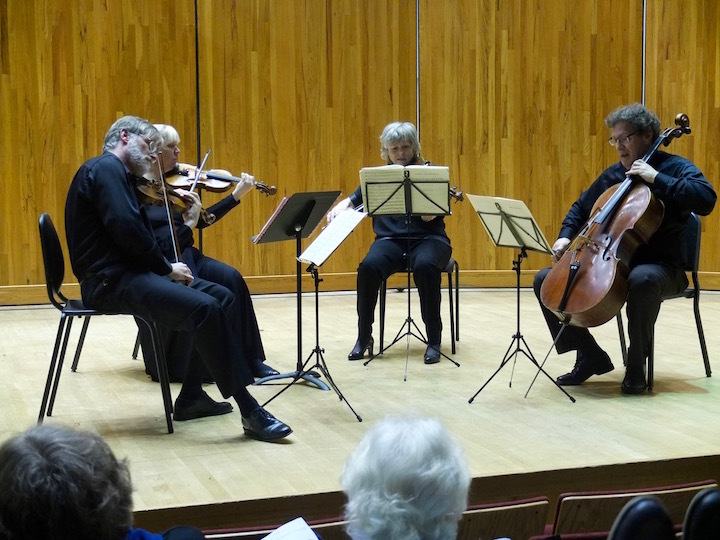 With such quality and affordability, the Pro Arte should always be playing to a full house. 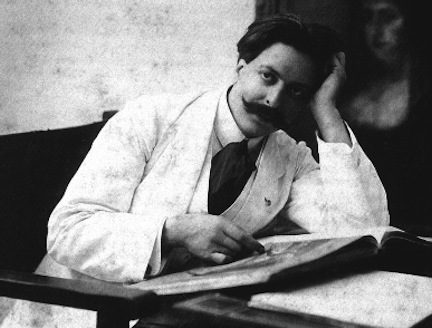 One of the great losses to classical music was the premature death of the Spanish composer Enrique Granados (1867-1916, below). 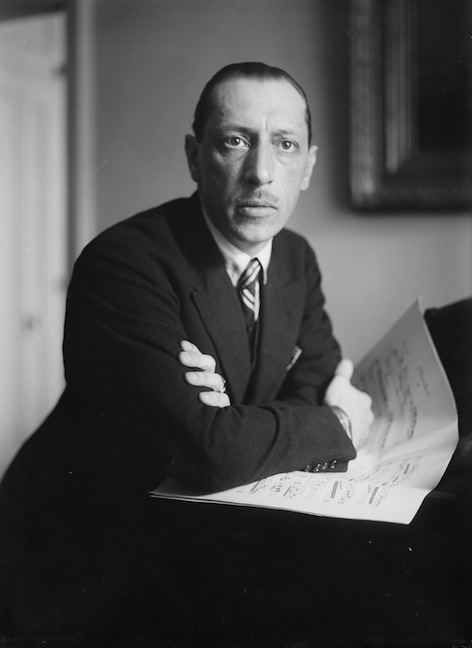 Chances are that if you know the work of this composer, who died in the sinking of the Sussex during World War I, it is probably through his beautiful and lyrical piano works such as “Goyescas” and Spanish Dances,” many of which are frequently heard through transcriptions, especially for guitar. But his great gift for lyricism found many outlets that remain unknown, including chamber music. Here is one you should hear: the Madrigal for Cello and Piano (1915). It was recently played on Wisconsin Public Radio and it reminds The Ear of the “Elegy” by Gabriel Faure. Listen to it yourself in the YouTube video at the bottom and then leave word what you think of this work and of Granados in general. Also let us know if there are other works of Granados that you recommend listening to, with a YouTube link if possible. And if you like it, why not forward a link to a friend or share it on Facebook? 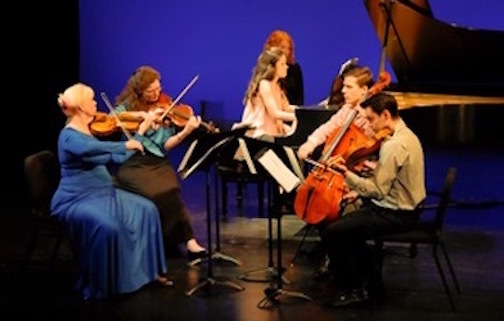 Tonight and Sunday night bring the second of six programs on the 27th annual summer series by the Bach Dancing and Dynamite Society. The theme of the whole series, along with the number 27, is “Toy Stories” and this particular program is called “American Girls” because it features so much music written by women composers — something in keeping with the timeliness and relevance of the #MeToo movement. 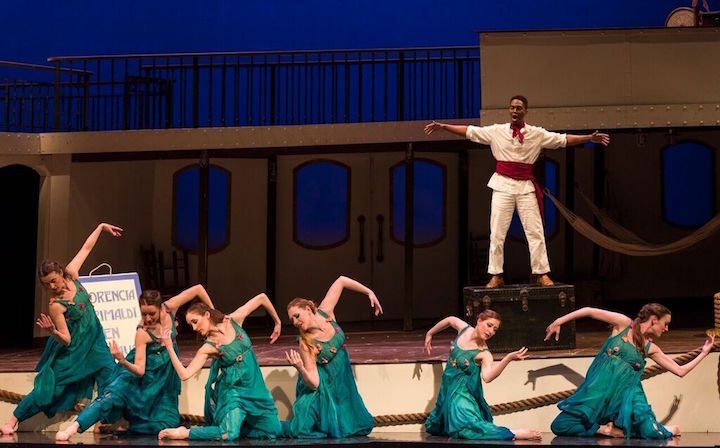 The first performance is TONIGHT, Saturday, June 9, at 7:30 p.m. in The Playhouse at the Overture Center. The second performance is tomorrow, Sunday, June 10, at 6:30 p.m. in the Hillside Theater of Taliesin, the Frank Lloyd Wright compound in Spring Green. Included in the “American Girls” program is the very lyrical and beautiful Romance for Violin and Piano, Op. 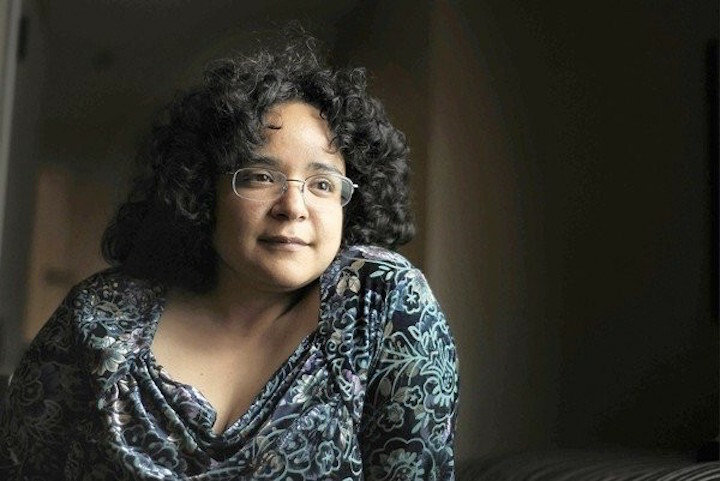 23, by American composer Amy Beach (below). 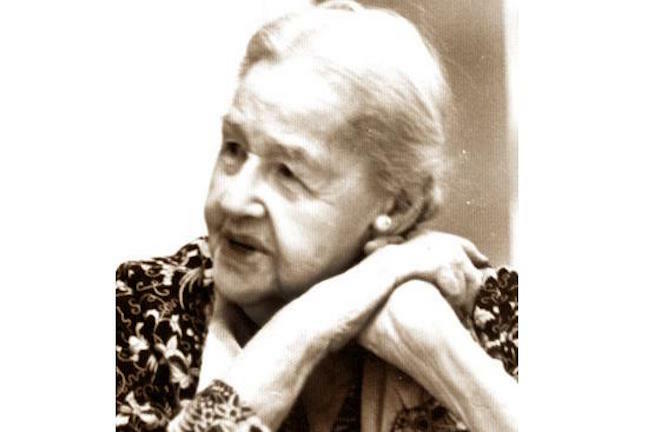 If you want a taste of what awaits you if you go, at the bottom is a YouTube video of Chicago violinist Rachel Barton Pine, who has appeared in Madison with the Wisconsin Chamber Orchestra, performing the Romance by Beach at the Dame Myra Hess Memorial Concert. 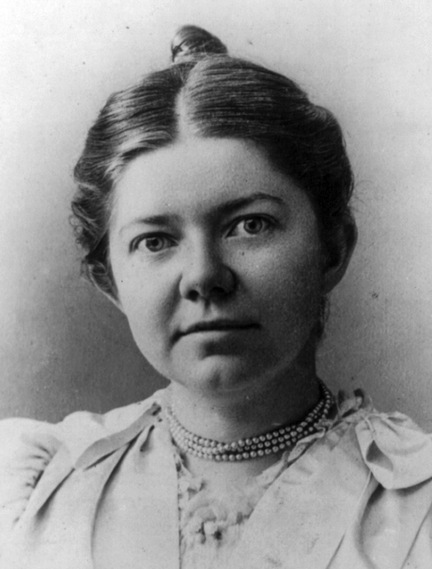 Pine also explains the context that includes a very famous American woman violin virtuoso, Maud Powell, whom The Ear — and probably most others –had never heard of before. 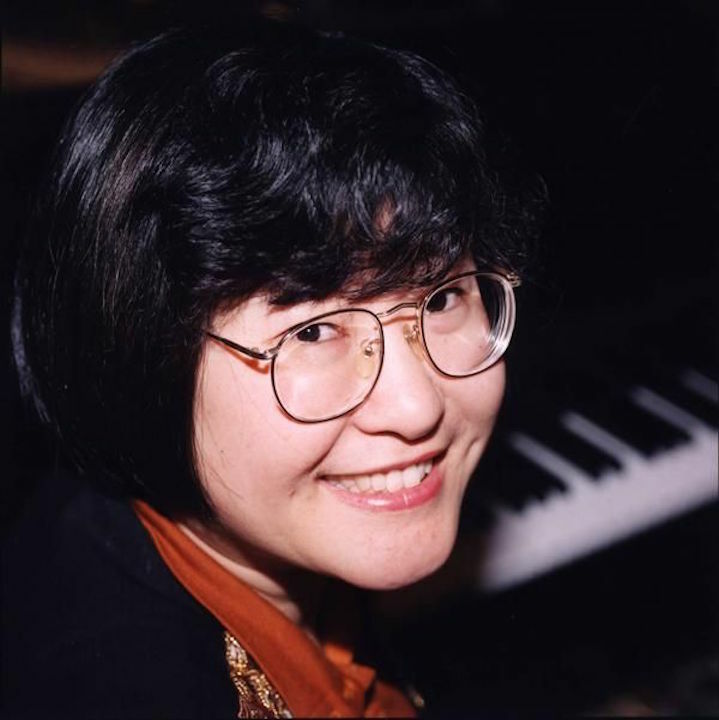 The Romance will be performed tonight and Sunday night by BDDS veteran Yura Lee (below). 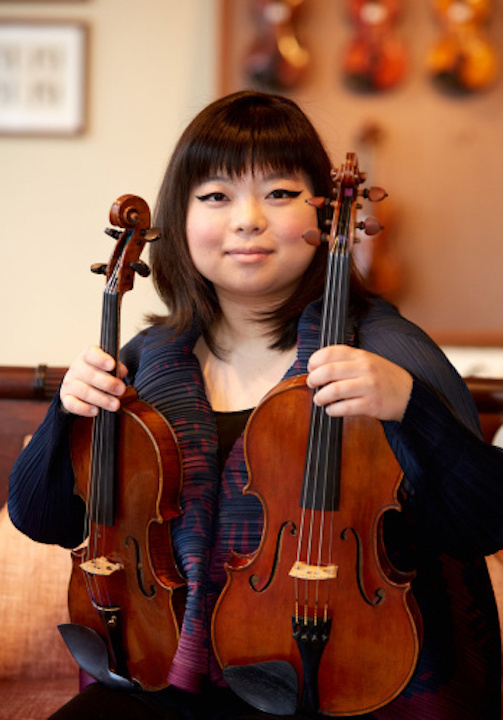 She is an outstanding violinist and violist who hails from New York City and performs with the prestigious Chamber Music Society of Lincoln Center. 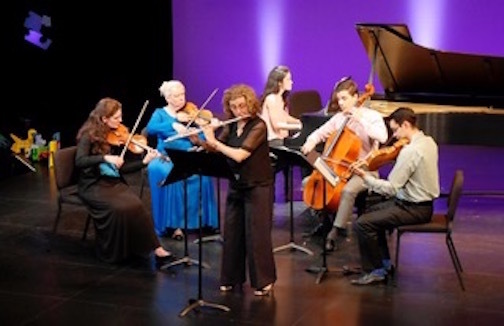 The rest of the program includes: “Chambi’s Dreams: Snapshots for an Andean Album” for flute, violin and piano by living composer Gabriela Lena Frank (below top); “Qi” for flute, cello, piano and percussion by Chen Yi (below middle); the Piano Trio in C Major, Hob. XV:27 by Franz Joseph Haydn; and the Piano Trio by American composer Rebecca Clarke (below bottom, above the YouTube video).